What is Appendicitis & Appendectomy? The appendix is a closed-ended, narrow tube that attaches to the cecum (the first part of the colon) like a worm. (The anatomical name for the appendix, vermiform appendix, means worm-like appendage.) The inner lining of the appendix produces a small amount of mucus that flows through the appendix and into the cecum. The wall of the appendix contains lymphatic tissue that is part of the immune system for making antibodies. Like the rest of the colon, the wall of the appendix also contains a layer of muscle. Appendicitis is inflammation of the appendix. It is thought that appendicitis begins when the opening from the appendix into the cecum becomes blocked. The blockage may be due to a build-up of thick mucus within the appendix or to stool that enters the appendix from the cecum. The mucus or stool hardens, becomes rock-like, and blocks the opening. This rock is called a fecalith (literally, a rock of stool). At other times, the lymphatic tissue in the appendix may swell and block the appendix. Bacteria which normally are found within the appendix then begin to invade (infect) the wall of the appendix. If the inflammation and infection spread through the wall of the appendix, the appendix can rupture. Perforation of the appendix can lead to a peri-appendiceal abscess (collection of pus) or diffuse peritonitis (infection of the entire lining of the abdomen and the pelvis). A less common complication of appendicitis is blockage of the intestine. Blockage occurs when the inflammation surrounding the appendix causes scar tissues and adhesions. A feared complication of appendicitis is sepsis, a condition in which infecting bacteria enter the blood and travel to other parts of the body. This is a very serious, even life-threatening complication. Fortunately, it occurs infrequently. Ultrasound can identify an enlarged appendix or an abscess. Nevertheless, during appendicitis, the appendix can be seen in only 50% of patients. Therefore, not seeing the appendix during an ultrasound does not exclude appendicitis. Ultrasound also is helpful in women because it can exclude the presence of conditions involving the ovaries, fallopian tubes and uterus that can mimic appendicitis. In patients who are not pregnant, a CT Scan of the abdomen and pelvis is useful in diagnosing appendicitis, peri-appendiceal abscess. It also helps excluding other diseases inside the abdomen and pelvis that can mimic appendicitis. There is no one test that will diagnose appendicitis with certainty. Therefore, the approach to suspected appendicitis may include a period of observation, tests as previously discussed, or surgery. Once a diagnosis of appendicitis is made, an appendectomy usually is performed. Antibiotics almost always are begun prior to surgery and as soon as appendicitis is suspected. Moreover, in one randomized trial the number of complications, particularly wound infections, was greater in the open group of patients . The surgical technique of laparoscopic appendectomy is well established. 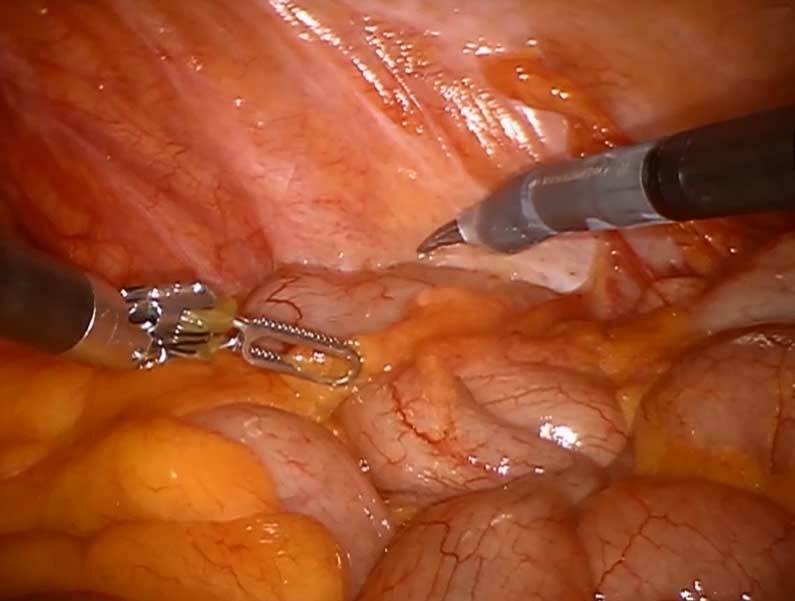 The clear advantages of laparoscopy over exploration through a right lower quadrant incision for women with lower abdominal pain have been well documented over decades. Randomized trials have confirmed that after laparoscopic appendectomies patients sustain fewer complications, suffer less pain, are discharged earlier, and return to work sooner. All available information indicates that laparoscopic appendectomy has superior results and will become the standard of care. Occasionally, the surgeon may find a normal-appearing appendix and no other cause for the patient’s problem. In this situation, the surgeon may remove the appendix. The reasoning in these cases is that it is better to remove a normal-appearing appendix than to miss and not treat appropriately an early or mild case of appendicitis. 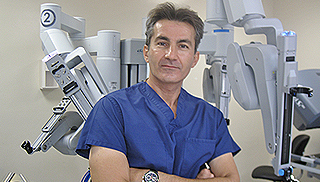 Andrew S. Iraniha, M.D., F.A.C.S.